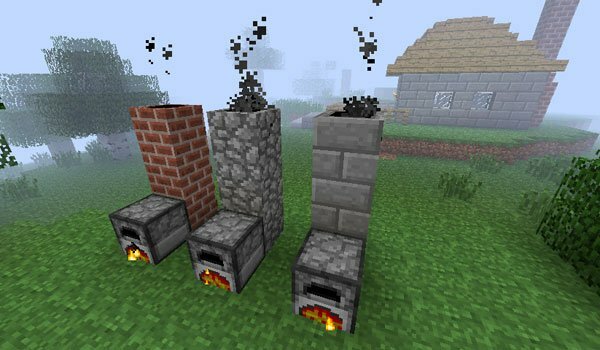 Surely more than once you have liked to have a fireplace in Minecraft, well, this is a simple modification for Minecraft called Smoking Chimney 1.2.5, which allows us to build fireplaces in the game. The chimneys will smoke of our furnaces, of course, if we cook or burn something. This is one of those mods that do not break the line of the game and instead it is still an improvement, aesthetics, but with its grace to those who like to decorate, is one of those mods that could be part of Minecraft . How to install Smoking Chimney Mod for Minecraft 1.2.5? Fireplaces for furnances in Minecraft!